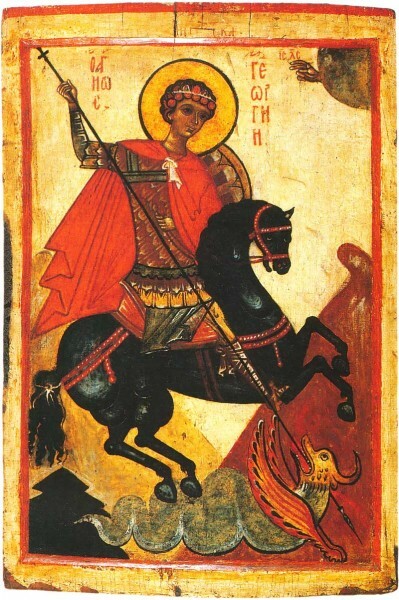 St. George is the namesake of the church, and an early martyr of Christian faith. In 1912, Courtenay, Sandwick and Comox Presbyterian churches merged, and built a church in Courtenay. The new church was named St. George's Presbyterian, and eventually became St. George's United Church at the union of the Methodist, Presbyterian and Congregationalist Churches in Canada in 1925. The reason for the naming is unclear. Normally, Presbyterian Churches aren't named after Saints found outside the Bible, so it's name is all the more intriguing. Nonetheless, St. George is both an interesting historical and mythical figure, best known for later stories of him slaying a dragon and saving a village. What is likely most important about George for our times is that he understood loyalty to God and following Jesus comes even before our loyalty to our nations and tribes. The St. George's logo is based on the cross of St. George, which is also featured on the flag of England, where George is patron Saint.